Mexico marked 100 years since the beginning of its fight for independence from Spain in 1910 by constructing a massive column in the middle of Mexico City. When it was time to commemorate 100 years of freedom from Spanish rule in 1921, the nation turned to the Mexican Mint for inspiration. The result was a variety of coins produced with images meant to stoke national pride. 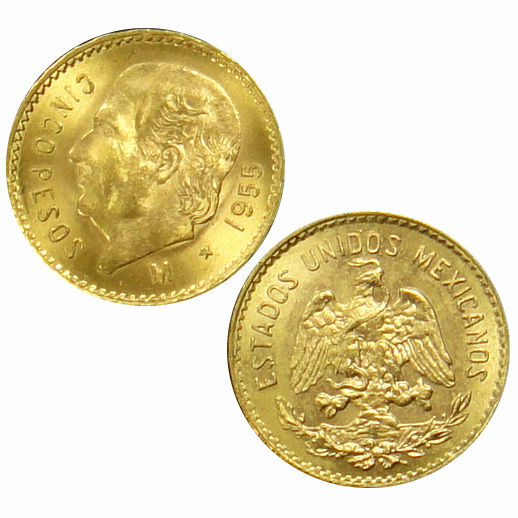 The 5 Peso Gold Mexican Coin was among those minted by the Mexican Mint, and is available to you today from Silver.com in varied years and conditions. The Mexican Mint produced gold Mexican coins in amounts including 50, 20, 10, 2.5, and 2, in addition to this 5 Peso Gold Mexican Coin. 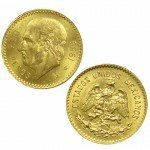 While other gold Mexican coins were produced during the early 20th century, those coins commemorating the nation’s freedom are among the most popular. Various images were used on the coins from the Mexican Mint, but the 5 Peso Gold Mexican coin had a unique reverse image shared only with the 10 peso coin. Miguel Hidalgo, the “Father of the Nation,” is featured on the reverse side of the coin. The “Angel of Independence” is featured on the reverse of other coins in the series. The 5 Peso Gold Mexican coin displays a left-profile image of Hidalgo on the reverse side. He was an outspoken leader in Mexico who was defiant in the face of Spanish rule. His opinion led to his execution in the early days of the war. 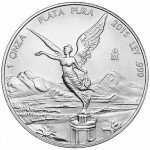 His image is accompanied by engravings of the year of minting and face value of the coin. On the obverse side of the coin is the Mexican coat of arms. Similar to the 50 and 10 peso coins, the 5 Peso Gold Mexican Coin features an eagle that is facing forward on the coat of arms. The bird can be seen resting atop a cactus with a serpent in its beak. 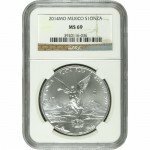 The Mexican Mint is among the oldest facilities in the world. When the Spanish conquered Mexico in the 16th century, the mint was established in 1535 in Mexico City. Today, it is the oldest facility in the Americas and is still responsible for minting circulating currency for the nation. Silver.com wants all customers to be happy with their investment. If you have any questions about this product or any others from Silver.com, simply call one of our associates at 888-989-7223. We can also be reached through the live chat function on our website or by email.